We conducted a meta-analysis evaluating the effects of different exercise interventions on self-reported and objective sleep measurements during or after breast cancer treatment. Three databases were systematically searched for randomized controlled trials with any type of exercise intervention in women with breast cancer. Outcomes were self-reported or objective sleep measurements. Standardized mean differences (SMDs) were calculated using random-effects models. The meta-analysis included 22 trials with 2107 participants. Of these, 17 studies used the Pittsburgh Sleep Quality Index (PSQI), six studies included objective sleep assessments (ActiGraph). Physical exercise interventions included walking, aerobic exercise, resistance exercise or a combination of both. Mind–body exercise interventions included yoga, Tai Chi and Qigong. Most interventions were supervised. Both, physical (SMD − 0.32; 95% CI − 0.54 to − 0.10) and mind–body exercise interventions (SMD − 0.27; 95% CI − 0.44 to − 0.09), resulted in improvements of total sleep scores. 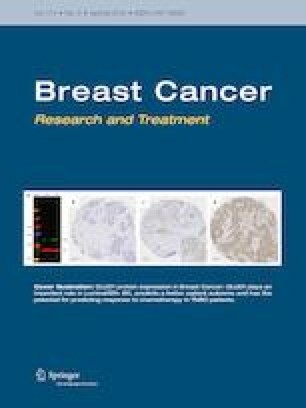 Subgroup analyses revealed no clear differences between interventions conducted during versus after breast cancer treatment. Considering the PSQI subscales, exercise resulted in improvements of sleep quality (SMD − 0.28; 95% CI − 0.44 to − 0.11) and sleep disturbances (SMD − 0.26; 95% CI − 0.45 to − 0.06). Regarding the objective measurements, no significant effects were found. Physical as well as mind–body exercise can improve subjective sleep problems in breast cancer patients. In contrast, there was no effect of exercise on objective sleep measures. Future studies should clarify which type of intervention might be most effective depending on individual patients’ and treatments’ characteristics. Author KS has received research grants from the German Cancer Aid Foundation, awards from the Claudia-von-Schilling Foundation and Lilly Pharma Germany, as well as speaker and consulting honoraria from Pfizer Pharmaceuticals, BIC health insurance, Asklepios hospitals, and Adviva.